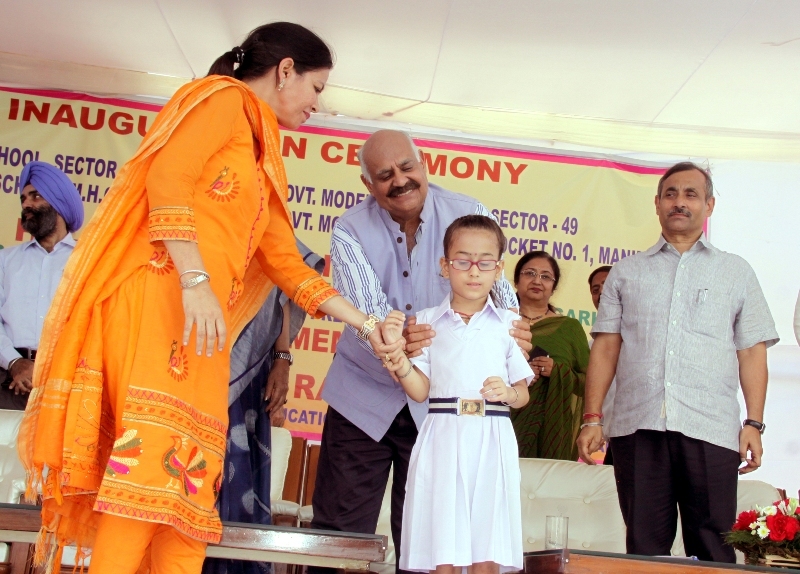 The Governor of Punjab and Administrator, UT, Chandigarh Shri V.P. Singh Badnore, the Adviser to the Administrator, UT, Chandigarh, Shri Parimal Rai inaugurating the Govt. Model Middle School, 48, 49, Pocket No. 1 Manimajra and Govt. Model Middle School, Modern Housing Complex Manimajra, Chandigarh on Wednesday, September 14, 2016.